LandAid, the property industry charity helping to end youth homelessness in the UK, is set to receive a further cash boost thanks to enthusiastic cyclists from national property consultancy Carter Jonas and its network of colleagues and associates. 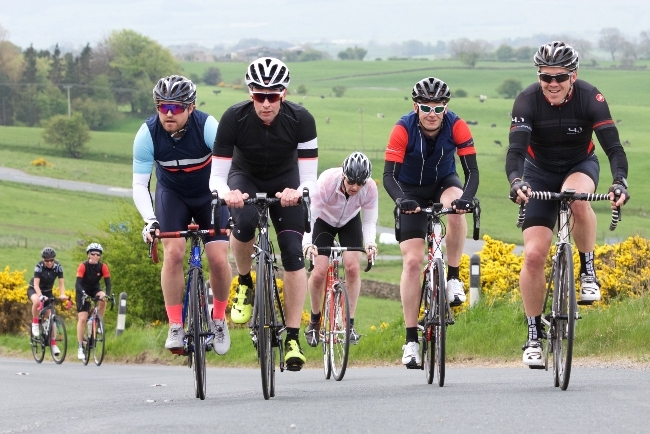 Teams from across Carter Jonas’ UK offices will be amongst more than 400 riders taking part in the annual cycling event for the property and business community on Friday 7 June. Two charities in Yorkshire and Humber benefited from grants – Canopy Housing in Leeds and Doorstep in Hull. Canopy Housing renovates empty and derelict houses and transforms them into affordable accommodation for people who are homeless or in housing need. LandAid’s £60,000 grant to Doorstep will help renovate an empty, purpose-built, two storey block of flats to create a Parent and Baby Unit. The flats will provide intensive supported housing for young parents and their babies in Hull. According to figures from Ministry of Housing, Communities and Local Government released in Autumn 2018, there was a 19% increase in rough sleeping in the Yorkshire region in the year 2017-18. As of Q1 2018 there are 5,664 recorded homeless people in the region, the equivalent of 1 in every 1000 people – an increase of 600 on 2017 – so LandAid’s investment comes at a critical time. Paul Morrish, chief executive of LandAid, said: “We’re delighted that Carter Jonas is partnering with us once again this year. Such support is essential to ensure we can provide the assistance needed to help end youth homelessness and set young people up for a brighter future. Entry is open to both individuals and corporate teams, and costs £60 per rider, £300 per team of 6 or £500 per team of 10 (all inc VAT) on the early bird offer which is available until 31 March.